On the second Monday of every month, Drupal Yorkshire meets to discuss matters Drupal, both local and national. All are welcome 1800h–2030h and they provide snacks, followed by chat in a nearby pub afterwards. The following post first appeared on the group blog. April's Drupal Yorkshire meetup was again at the Leeds ODI Node, a swish converted top floor of Munro House, with drinks and snacks provided. But we were really all there to listen to Paul Driver talk about his own experiences with hosting and devops provision, for a large client base with individually small (and varied) maintenance budgets. Along with the heavyweight Drupal solutions like Acquia and Pantheon, and longer-standing solutions like Aegir, Paul also mentioned more granular, pick-your-own own hosting like DigitalOcean and AberdeenCloud, and intermediaries like CloudWays. He took us through the good and bad parts of each hosting provider, before focussing on how Deploy (which he demoed), DeployBot and others can act as "devops intermediaries", managing deployment of code and pre-deployment/post-deployment administrative tasks, again through web-based. Paul ended by bringing us back to his own preferred choice of budget hosting, TSO Host, as an example of how the devops intermediaries can deploy to more than just the usual choice of Drupal hosting. He made it clear that the old myths about the weaknesses of low-cost hosting don't apply to every provider in that tier, and that bulding a relationship with a trusted hosting provider can reap more rewards than a straightforward financial outlay. Before and afterwards everyone present chatted about goings-on in local Drupal and further afield, and expanded on what Paul talked about. For me, it's really interesting seeing how hosting and devops can be tooled and (to some extent) automated, even at the lower end of budgets: financial constraints, like any formal constraint, can force you to make more considered and interesting choices. Thanks to Paul for speaking, Dan Harper for organizing, and Leeds ODI Node for hosting. 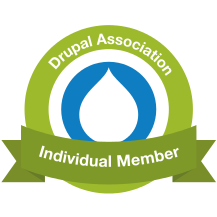 The next Drupal Yorkshire meetup is on Monday 9 May from 6pm: check out the Meetup group for more information.